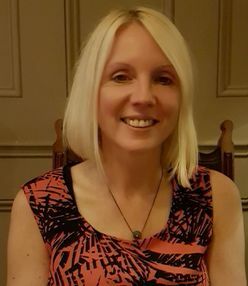 I am a person-centred therapist who believes that the individual has the resources with which to learn, understand and heal themselves and I work to provide a safe space in which this work can be done confidentially and respectfully at the client's own pace. I work with all ages and have experience working with young people, people and and carers of people who have chronic health conditions, including dementia. I am an experienced hypnotherapist and can help clients use this resource to reduce symptoms of anxiety and depression and increase confidence and self-esteem as well as other personal issues. Through talking and hypnotherapy, clients have been able to deal better with and reduce the symptoms of menopause. I am experienced in working with businesses to offer counselling and professional support to their staff. I am an experienced person-centred counsellor & supervisor working with children & young people as well as adults. I supervise counsellors from various areas of work such as NHS, voluntary organisations and education as well as private practitioners and students. I offer a reduced fee for students.I am experienced working with schools and businesses to offer counselling and professional support to staff. I am an experienced hypnotherapist to help reduce the symptoms of anxiety and stress. I offer a complimentary initial meeting in which a practitioner can meet with me to find out how we could work together.